Proudly display your love of Detailed Image! 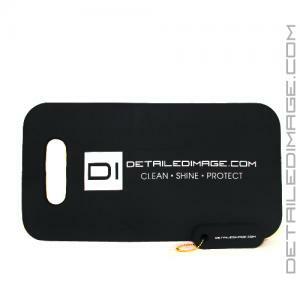 The Detailed Image Kneeling Pad is here to make detailing a little more comfortable. Use it to protect your knees while kneeling or use it as a cushion to sit on when you're detailing. The pad is made of a weatherproof material that is 3/4ths of an inch thick. Despite being relatively thin the high density foam has plenty of support to help you feel very comfortable while kneeling or sitting. The pad is a black foam with a convenient carrying handle that you can also use to hang the cushion with. 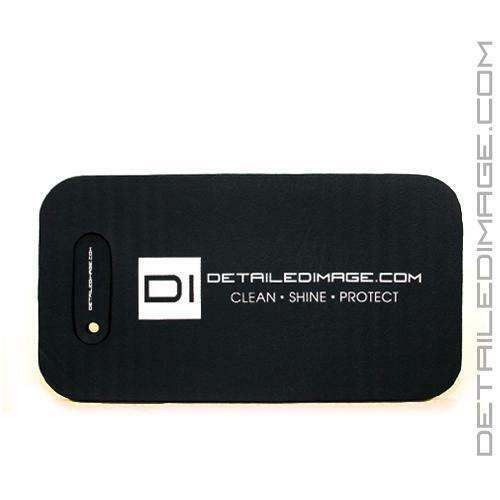 The design has classic Detailed Image styling with the "Clean Shine Protect" tag line in a contrasting light gray. The Detailed Image Kneeling Pad is a practical and fashionable way to proudly show off your support of DetailedImage.com. Bonus: Comes with a FREE DetailedImage.com Key Chain! Note: The old version of this Kneeling Pad was 3/8ths of an inch thick. After careful consideration and listening to our great customers, we moved to a much thicker 3/4ths of an inch pad. This new and improved version has been shipping since 8/30/16! Lifesaver for rims, tire detailing and brake jobs. I work outside in the driveway alot so found this to be a great way to take the stress off my knees and honestly its a great price.